I've always had a passion for teaching in a relaxed, inspirational and friendly environment, and with the surname "Friend", it seemed the natural and appropriate wording to lend itself to the name, "The Friend Flute Academy". What better position to be in, then to set up a flute academy based here in London! Every year, I invite highly respected guest flautists / professors to join me in a three day intensive, yet friendly workshop, focusing on solo and orchestral repertoire, as well as all the technical aspects of flute playing. Now in our fifth year, we have had enormous pleasure working with a wonderful mixture of students from intermediate to advanced level, ranging from a spectrum of ages. Many of our students return to the ‘Friend Flute Academy’ each year, and we have almost become like a musical family (with the added bonus of meeting new faces and hearing new players!). 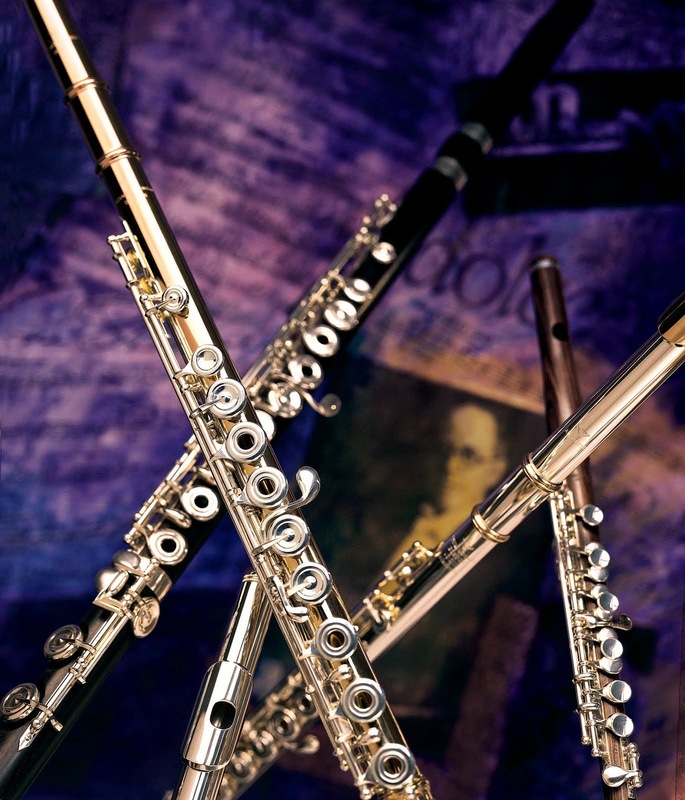 The ‘Friend Flute Academy’ is located in a beautiful private home in central London. The intimacy and space give the students a nurturing and warm environment within which to study, with a feeling of a "home away from home." As a child, my father was Concert Master of the New York Philharmonic. I was so incredibly lucky and blessed growing up, as I had the opportunity to listen to some of the greatest musicians including Bernstein, Barenboim, and Horowitz to name a few. My mum would take me to the New York Philharmonic rehearsals and concerts and even from an early age, I was transfixed on the flute section (Julius Baker and Renee Siebert). I would come away from rehearsals/concerts in a total trance and drove my parents crazy to buy me a flute.My fondest memory was when Renee Siebert took me down Broadway to purchase my first flute. I was five! I worked hard during those years and dreamt of becoming a flute player. As a teenager, I was lucky enough to attend the ‘Julius Baker Summer Course’ in Connecticut. It was such a bonding time and I would literally come away buzzing from the incredible atmosphere and music that surrounded me. This feeling never left me, and in fact became one of the driving factors in the founding of the ‘Friend Flute Academy’!. As a performer and teacher, it is my utmost goal to encourage every individual to flourish in their understanding and appreciation of music! I personally find that students develop more confidently in a non competitive atmosphere thus eliminating a military style of teaching. For me, it is about the music!. I was so fortunate to have had such incredible teachers including Renee Siebert, Susan Milan and Alan Marion and to be able to pass their teaching methods on to mine and other students, is an absolute honour. My message is simple: "Lets all thrive in what we do, learn and celebrate how lucky we are to be able to play music by some of the greatest composers.” Masterclasses can be intimidating and stressful at the best of times, but by exposing students to the fantastic repertoire available, identifying their personal gifts/ strengths, focusing on the fine skills that enable them to be great performers, encouraging them to listen and learn from fellow students and performing themselves in a ‘non pressured’ environment, I have always found that a balanced combination of these factors is the best and most profitable way for individuals to learn! I feel so lucky to be able to hear talented flautists as well as enthusiastic amateur players. 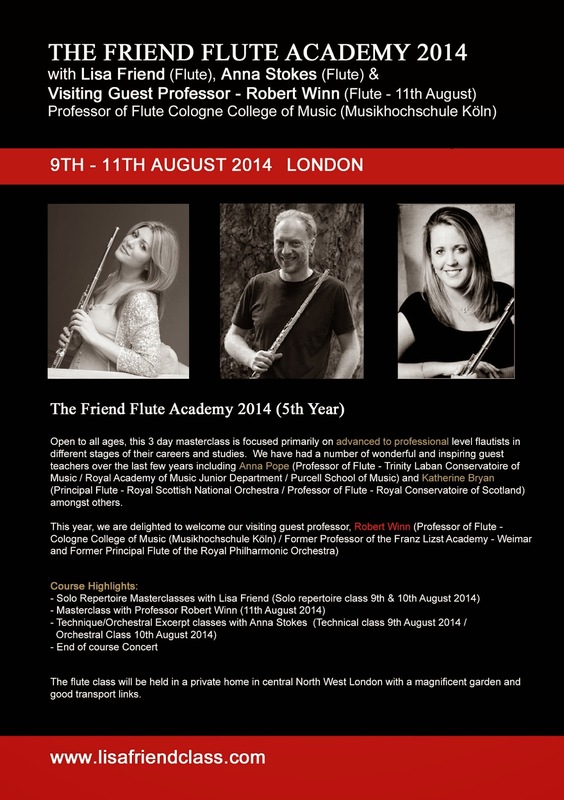 I hope to be able to continue the ‘Friend Flute Academy’ for many more happy musical years and would be delighted to welcome new performers to apply for the forthcoming 'Friend Flute Academy London' Lisa plays on a Verne Powell gold flute.